This is the new single by LAnoiserockers Health. 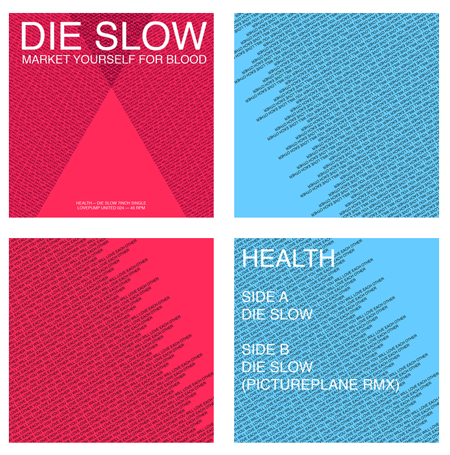 Ok, now click over to http://healthgetcolor.com/ and listen to the Pictureplane remix. The digital single can be purchased tomorrow @ The iTunes Store. The 7″+mp3 can preordered right now @ Insound. Are you totally psyched for Get Color yet?? Is it too soon to say Album Of The Year? HEALTH//DISCO project page is here. Enhanced HEALTH//DISCO cd is here. Wiki Wiki Wiki is here.